Whether you are looking to rent a 2 bedroom apartment or a 3 bedroom apartment, you like to enjoy the living in the front or the quiet of the back, ground floor or up, we have the perfect apartment for you! Three Bedroom Apartment homes with two baths 1012 square ft in size with Washer and Dryer Hook-Ups. Private Balcony or Patio. Kitchen equipped with gas stove, frost free refrigerator, and dishwasher. Pet friendly with breed restrictions. Amenities included Outdoor Pool, Playground, Basketball Court, Clubhouse and 24 hour emergency maintenance service, Laundry facility and cable. Convenient location for traveling to UF and Santa Fe Community College. 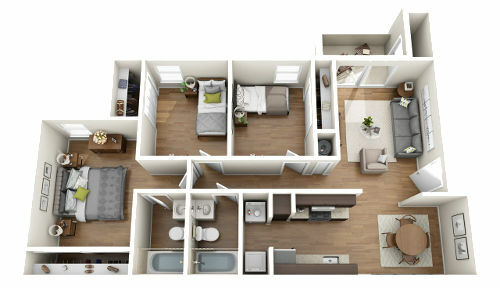 Two Bedroom Apartment homes with two baths 876 square ft in size with Washer and Dryer Hook-Ups. Private Balcony or Patio. Kitchen equipped with gas stove, frost free refrigerator, and dishwasher. Pet friendly with breed restrictions. Amenities included Outdoor Pool, Playground, Basketball Court, Clubhouse and 24 hour emergency maintenance service, Laundry facility and cable. Convenient location for traveling to UF and Santa Fe Community College. What is more fun then taking a dip in the pool at the end of the day? Chelsea’s Rental Apartments offer all the right things. 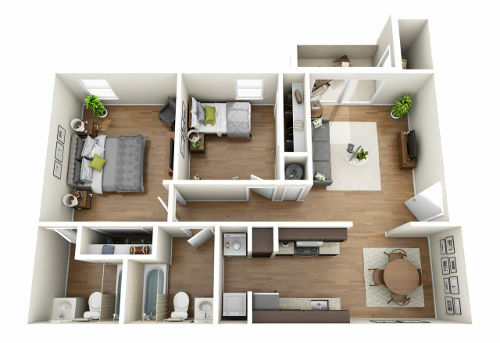 From spacious and accessorized apartments to a variety of amenities. And now, for a limited time, we offer great move in specials. So what are you waiting for?